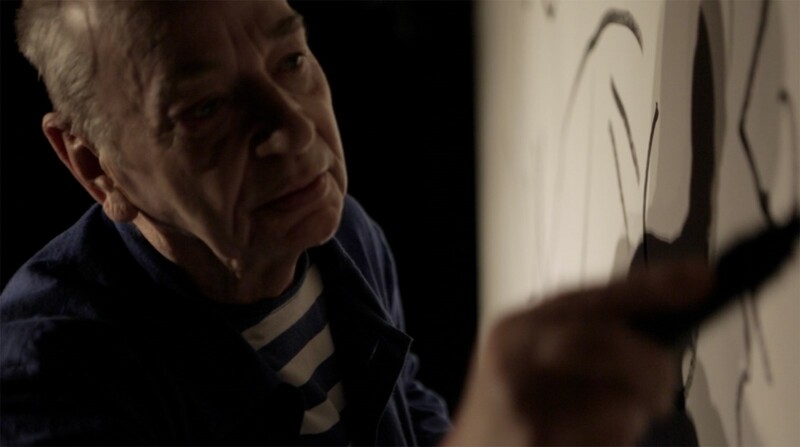 For his first appearance in London in 15 years, Lindsay Kemp approaches the stage in the gallery bar of Ace Hotel wearing a Breton top underneath a cornflower blue suit, in solidarity with the sailors he loves to depict in his drawings. He shows little sign of trepidation as he faces a mural-sized sheet of paper for this live drawing performance. Back in the city he left permanently for continental Europe in the late 70s, he is here as part of a residency at Ace, creating a suite of new drawings that will be on display in the hotel until June, after which they'll be turned into a limited edition zine for guests. And next week, he'll be uniting with old friend Marc Almond to speak to another packed audience about his experiences working with David Bowie in the late 60s, their brief affair that ended in Kemp's suicide attempt, and directing the staging of Bowie's era-defining Ziggy Stardust shows at London's Rainbow theatre in 1972. It's hard to believe that Kemp, known for his extravagantly dramatic performances combining mime, kabuki and cabaret, could experience stage fright. Yet the man who famously mentored Bowie and Kate Bush before they were stars insists he stills feels terror at the thought of disappointing an audience. After a life more or less lived on or near a stage, he has no need to worry, but his desire to please an audience is what keeps him dancing, choreographing and touring in spite of his 78 years. "I don’t miss a day of stretching. As Isadora Duncan says, 'Never rest, never rust'." Though Kemp will be forever linked to Bowie and Bush, as a performer and choreographer, he is famous in his own right for uniquely strange interpretations of a host of extraordinary characters ranging from the lovelorn Pierrot to the doomed Nijinsky and even Elizabeth I. Two years after Ziggy Stardust thrust him into the limelight and acquainted him with rock's vanguard, he became notorious for his adaptation of Jean Genet's surreal, libidinous hymn to the Parisian underworld, Our Lady of the Flowers, which he had first premiered in 1968 at the Edinburgh Fringe to scandalised audiences (the police, he has said, raided one performance mid-scene). According to Kemp, Rudolph Nureyev and Mick Jagger came to see it in London; Truman Capote and Andy Warhol when the show opened in New York. Despite the publicity, critics and funding bodies remained aloof, but Kemp, always a self-starter, carried on performing and teaching dance to hungry young acolytes, among them Bush (in whose short film The Line, The Cross and The Curve he stars). Here the indefatigable artist talks about his influences, meeting Bowie for the first time, and explains why he'll always be attracted to sailors and the sea. His answers are accompanied by an exclusive short film by Nendie Pinto-Duschinsky, which captures Kemp drawing in situ. "I cringe when I see [footage] of Pierrot in Turquoise [the show he and Bowie worked on together]. I mean, it was too naive and it is very dated. And you can see the heartbreak that I was going through at the time with the song When I Live My Dream. Our relationship began fabulously, like a dream coming true. But it was like many affairs, it didn't last too long and I suffered quite a bit after. I won't go into the whole story, you probably read about it. The scars have gone now, but for a long time you could see the marks [looks to his wrists] – they were only scratches. We played so many childish games, we laughed a lot, we played at being Laurel and Hardy a lot and enjoyed life together a lot, as well as the creative life, which took up most of our time, needless to say." "[I started painting] when I started dancing. You know, again like most children I began scribbling and I still have some of those [scribbles], I have everything! I’d scribble on everything, like children do, but I more than most, I think – I scribbled everywhere, if there was a white wall I’d scribble on it. And of course that’s what I'm doing here, but now my scribbles are a bit more sophisticated, and I'm more aware, of course, of the space that I need to occupy, both as a dancer and as a painter. But then I just always did it because it gave me pleasure. And it was the same thing as with dancing, I realised my drawings also made people smile. They are never very serious, or if they are then they’re disguised, you know, like my conversation, with frivolity." "I owe Picasso so much. For his stimulation. He gave me this courage, you know, to paint and to live very freely, very theatrically I suppose. I first discovered his pictures when I was very little, in Bradford, postcards from his blue and pink period. I’d buy these little packets of his early pictures of blue and pink Harlequins and Pierrots. They were such an influence, not just as a painter, but more in the theatre because he introduced me to the aspect of myself which is Pierrot. I identify very much with Pierrot, the romantic Pierrot, the Pierrot of Deburau, the traditional Pierrot. And Harlequin. Cocteau reminded me that it’s fine to do many things, since he was a jack of all trades and criticised for it. "Stick to poetry", they would say, but it was all poetry. I enjoy painting and dancing and entertaining, I do it all! Any way that I have of being creative, of expressing myself, being useful. I found my way into surrealism through Cocteau, and Genet, of course. But Mirò was the one man who I did know for real. I was performing in Mallorca, Flowers of course, and he was in the audience, and came afterwards. Now, I adored him anyway, and he invited me for lunch to his studio the following day. I went with my friend and of course I danced. I never walk, you see, I dance. A few days later I returned to Barcelona where I was living at the time, and there was a special delivery containing a fan which Mirò had painted for me. And then shortly after that he arranged for me to have my first big exhibition, at the Fundacio Mirò. They gave me the entire building, so I moved in there for six weeks with my company and we did installations and so on, with moving figures and wax figures and a lot of painting. So it was Mirò who gave me my encouragement. Picasso my courage. And Cocteau my audacity." "I love sailors. Well, I’ve come from a long family of sailors. My father was drowned at sea. I think about him a lot, and I live in Livorno which is a beautiful seaport town. Sure, there is a connection with Genet. I’ve just always liked sailors! Their uniforms, I mean, French sailors, rather American sailors, but it’s the look, which lends itself very much to my aesthetic, it's the blue, white and red that attracts me. But also the life of the sailor. I’ve been living very much a similar life, even though I’m not actually sailing the sea – well it is a bit like sailing the sea. I desire and have the freedom of the mariner. And of course, my life is dangerous, precarious, like the sailor's – or a rock 'n' roll singer, come to that. It's where we get our thrills. And my movement comes from the movement of the waves. There’s a legend that the drowned sailor metamorphoses into a seagull, the albatross, and my house is surrounded by these gulls, you know. Papa's voice, amongst them." 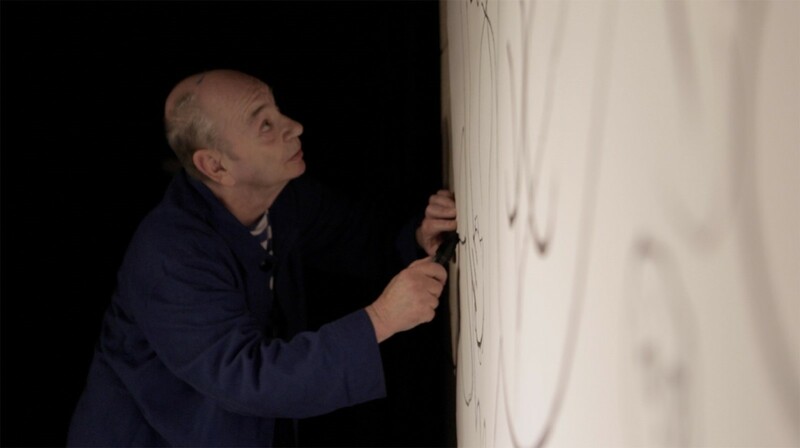 Lindsay Kemp: The London Drawings runs until June, 2016 at the Ace Hotel, London.